Drake was spotted repping his iconic OVO brand with this lavender sweater. 16. 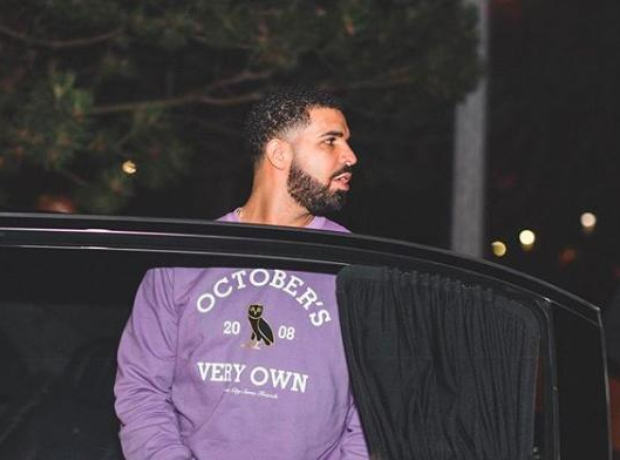 Drake was spotted repping his iconic OVO brand with this lavender sweater.